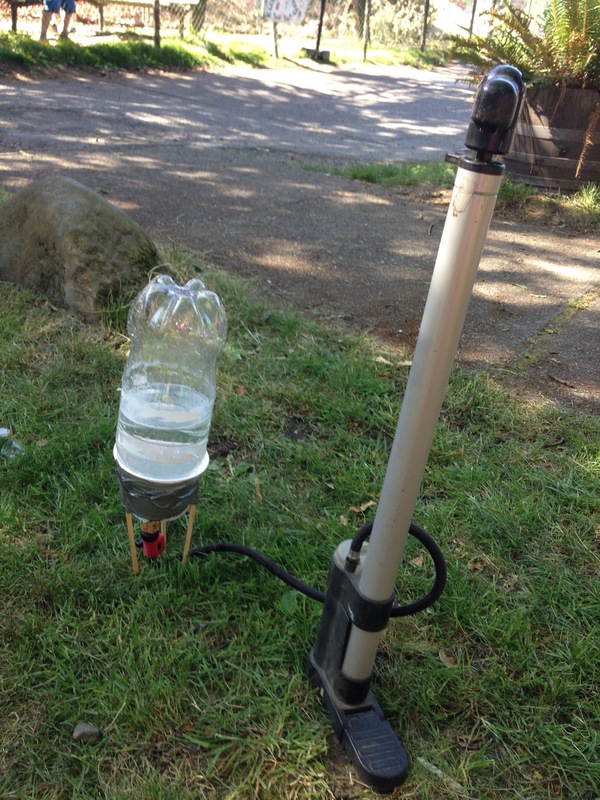 Make a rocket powered by air pressure. This is a powerful rocket and requires strict supervision. 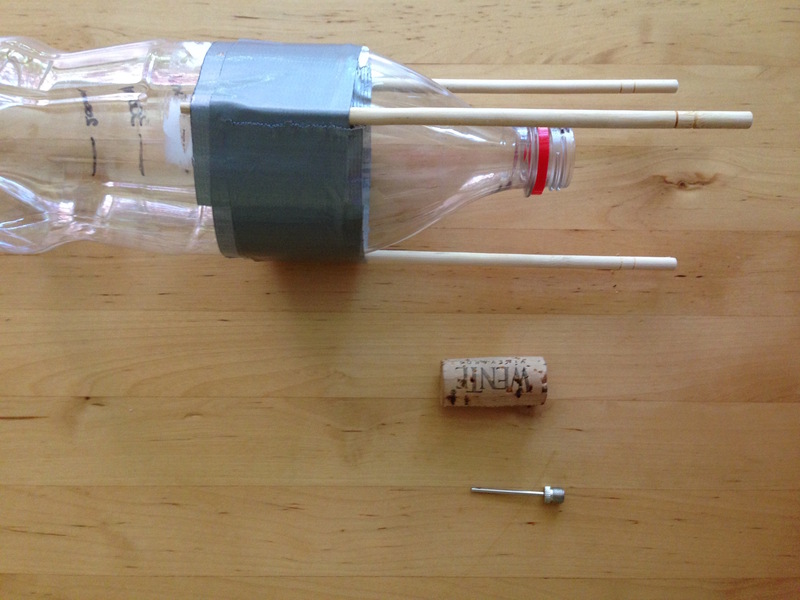 Prepare the rocket by drilling through the cork. 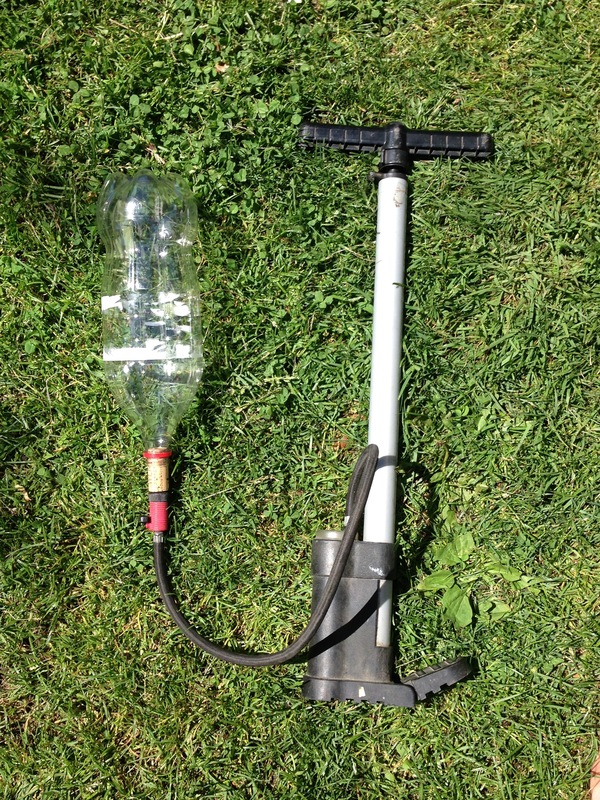 Add water to the rocket, insert the cork containing the needle attached to the pump. Put it in the stand/stand upright. Ask everyone to stand well back, as it will take off with no warning at high speed. Pump air into the rocket until it takes off. The pressure of air in the bottle above the water increases until it is too high to be held in by the cork. As the cork flies out, the water flies out too, helping project the rocket higher. Experiment with amount of water for the best flight. Too much water means there is too much weight. Too little means there is not so much water shooting out to project the rocket higher. I made a stable stand from a plant pot.